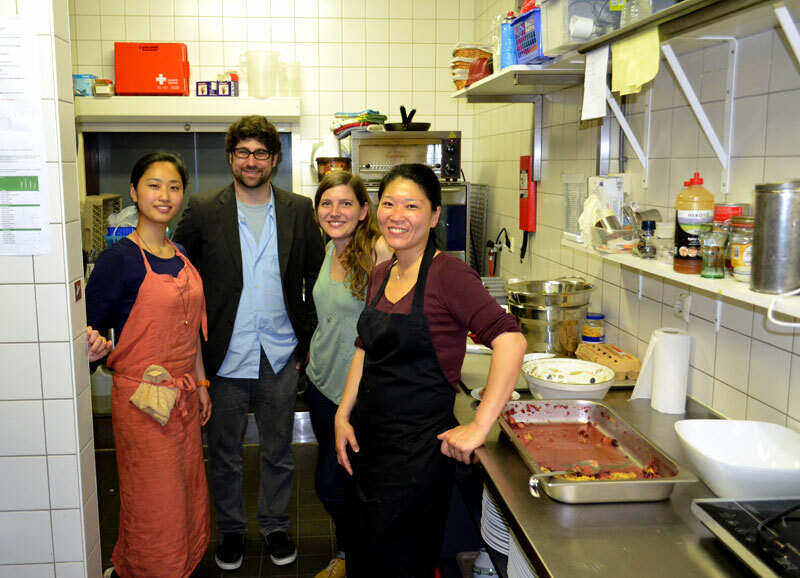 The Center for Genomic Gastronomy is an independent research institute that was initially launched with the intention to operate in a single building that would be open to the puplic. However, due to a variety of circumstances, constraints and opportunities, the Center has been nomadic since it’s conception, on the road since the summer of 2010. Although there are many collaborators and friends of the Center, Cat and Zack have formed the heart of the team in most locations. 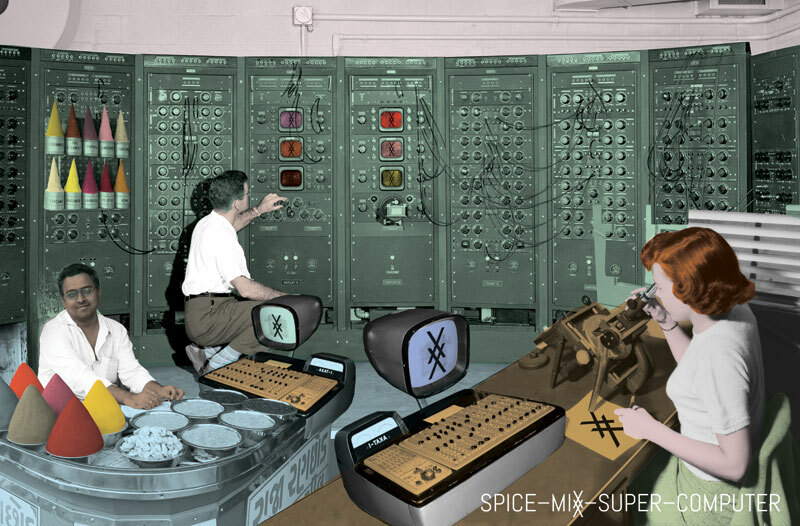 The Center is currently at work on the “Spice Mix Super Computer” for AND’s Mobile Republic. On our adventures traversing the globe, we have not stayed anywhere for more than 4 months in the past 2 years. With such a nomadic existence, ‘where we make’ is always changing. On a flight: a good place to think, read and sketch, and catch up with stuff offline. We have developed a variety of strategies for concentration and focus. For example, Zack works best early in the morning at a coffee shop with headphones on listening to drone music, while Cat works best in the peace of the late night when it seems the world has gone to sleep there are no other distractions (except for the occasional snore from Zack). 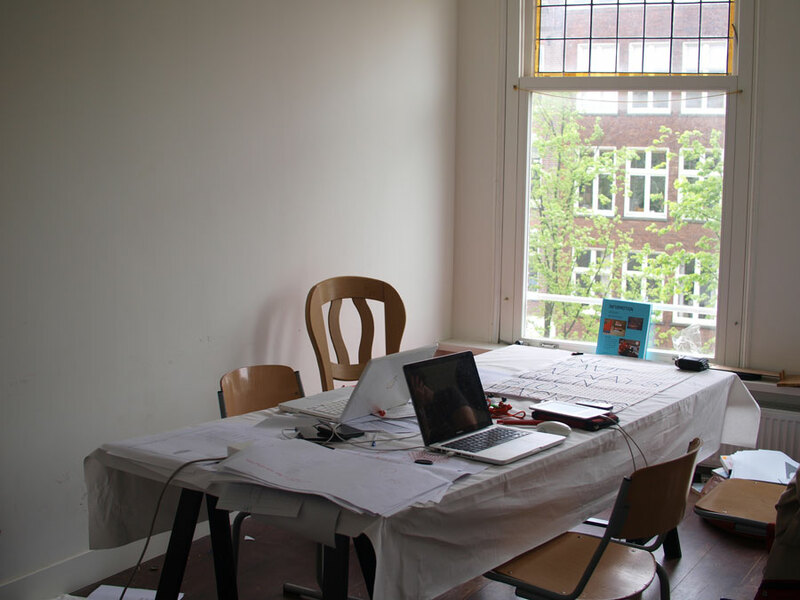 Our amsterdam apartment and office, while working on Pray for beans Project. The closer the deadline, the bigger the mess! Every place we visit is an opportunity to connect unexpected dots. Moving around so much means we can exchange ideas, artifacts and recipes between seemingly unconnected places and people. I am sure we wouldn’t be making a Spice Mix Super-Computer in the UK if we hadn’t spent time in Bangalore being drawn into spice-rich karnatakan cuisine. Our Smog Tasting project in Bangalore was prompted by a quote in Harold McGee’s “On Food & Cooking” which seems like a particularly American approach to food. And so on. 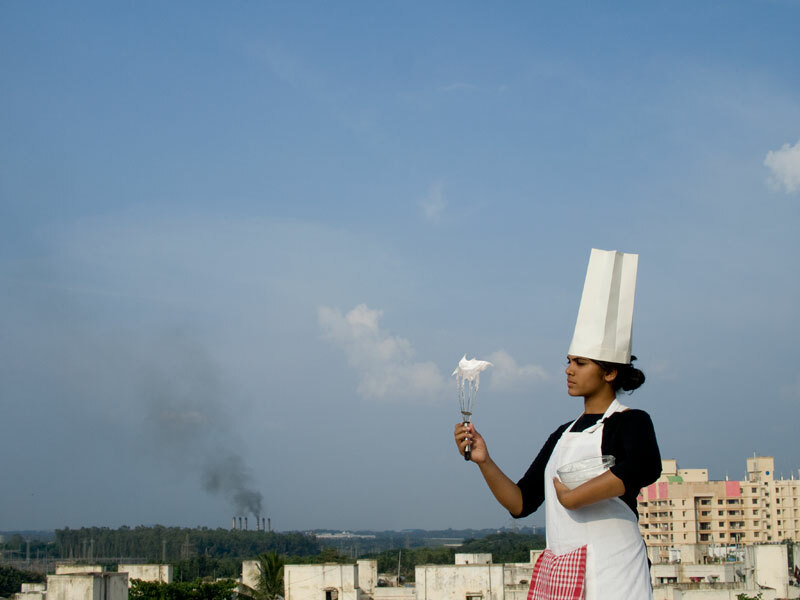 Smog Tasting took us to the rooftops of Bangalore for a week of in-situ cooking. The AND festival’s Mobile Republic is a microcosm of our last year. So far we have visited Manchester, Liverpool and London to work on the project, and we will be taking the caravan on the road to 4 locations in northern England. Taking on a project like this in an unfamiliar place is always a challenge because the simple tasks, such as sourcing various materials, become research efforts in their own right. 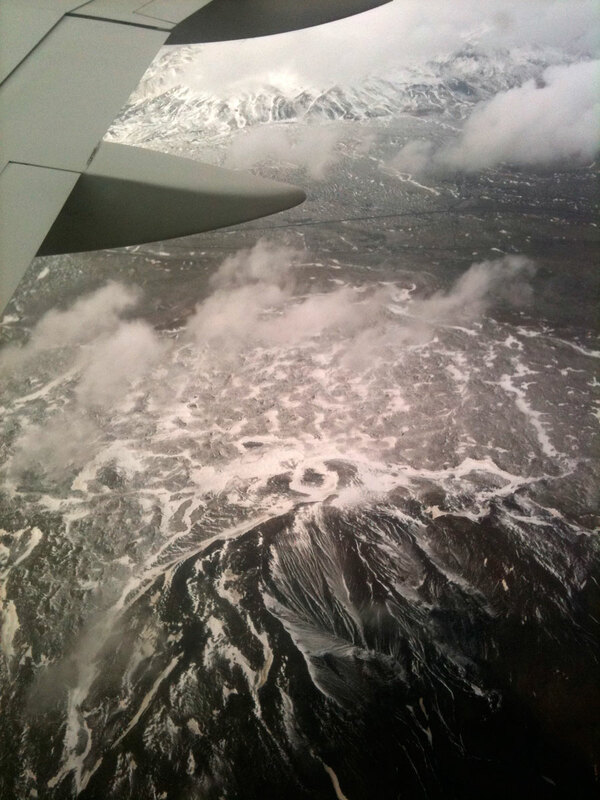 The upside is that we generally see the places we visit from an unusual perspective. 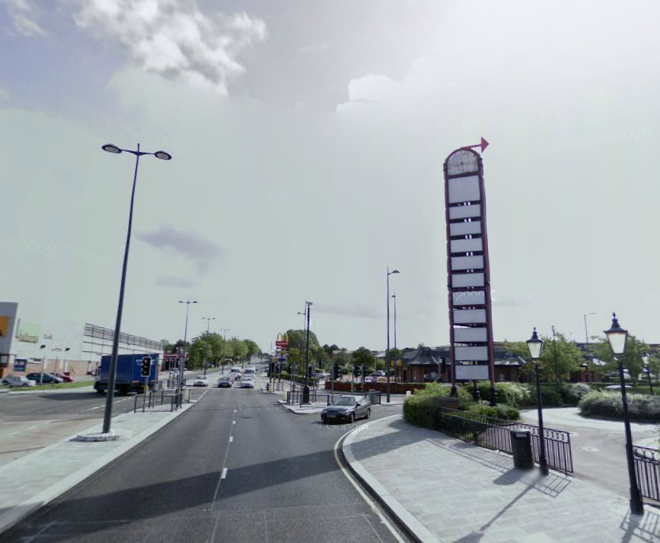 There can’t be many visitors to Liverpool who have strolled along Edge Lane to visit the B&Q. We do not have a permanent home or studio. We have attempted to consolidate our travel kit to the absolute essentials, but it is hard to bring an entire kitchen with us! Following food stories around the globe has been amazing, but we are looking forward to finding a landing spot and opening up the Center for Genomic Gastronomy as a non-nomadic entity. Maybe 2013?